Learn Advanced Technical Writing in Singapore! Technical writing is done by a technical writer (or technical author) and is the manner of writing and distributing information in a professional context. A technical writer’s main task is to communicate information to another person or company in the clearest and most effective manner possible. 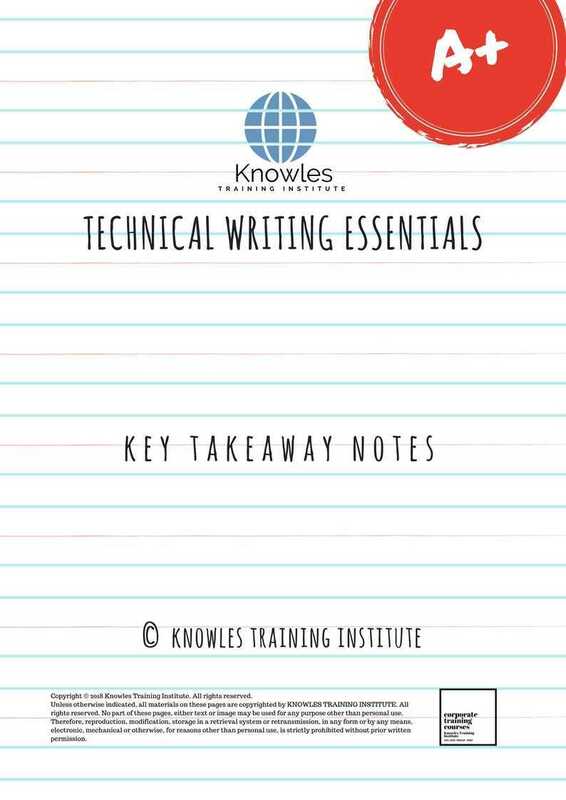 The information that technical writers communicate is often complicated, and it is one of their main tasks to analyse the information and display it in a format that is simple to read and understand. A great technical writer needs powerful writing and communication abilities. They do not only communicate information through text and must be skilled with computers as well. Technical writers use a broad range of programs to create and edit illustrations, diagramming programs to produce visual aids, and document processors to design, create, and format reports and documents. 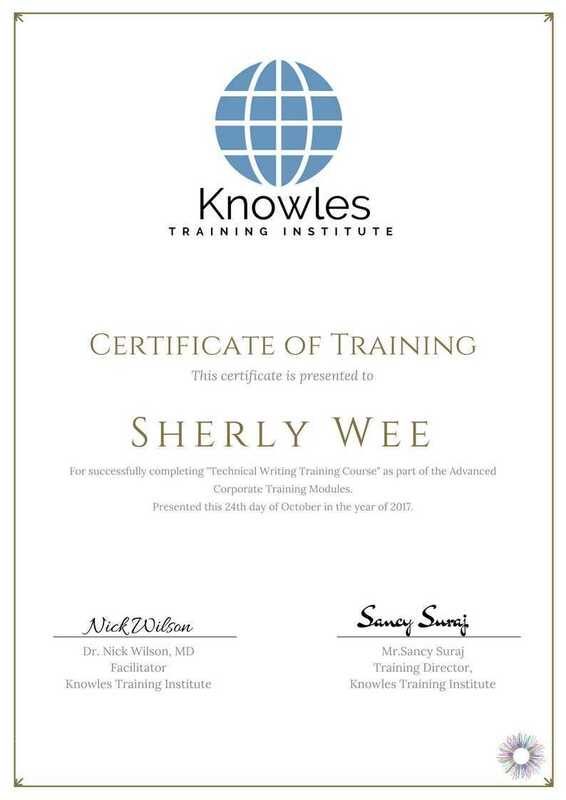 This technical writing course from Knowles Training Institute will teach you how to take complicated concepts and make them coherent and interesting in written form. This skills-based course will assist you to set technical writing standards that will influence business results. This Technical Writing course is taught as a two-day, facilitator-led class in a corporate or on-site training setting. Technical writing remains to be an extremely coveted skill in the professional workplace. Demand is anticipated to grow by 10% from 2014 to 2024. This is quicker than normal for all professions. Today technical writing includes all documentation of complicated technical processes. It contains executive summary statements, reports, briefs. Basically, any time technical information is conveyed in writing at work, it is technical writing. Nowadays the majority of individuals use different electronics and devices. As technology develops rapidly, companies will always be in need of smart and talented technical writers who can compose user guides, manuals and instructions in a clear and consice manner. Technical writing includes high-tech engineering, manufacturing, biotech, energy, aerospace, finance, IT, and global supply chain. The format is no longer restricted to long manuals. Technical information must be compressed and displayed unambiguously, which can be in the form of technical reports, policies, emails, briefs, and press releases. Technical writing requires a writer to examine the audience. A technical writer must be aware of their audience’s existing knowledge about the material they are considering as the knowledge base of the writer’s audience will determine the content and focus of a document. For example, an evaluation report explaining a scientific study’s conclusions that are written to a group of highly skilled scientists will be differently constructed than one meant for the general public. Technical writers don’t have to be subject-matter experts themselves and frequently collaborate with subject-matter experts to complete assignments that require more knowledge about a subject that they hold. Excellent technical writing is succinct, focused, easy to get, free of errors, and is audience-based. Technical writers concentrate on making the documents as clear as possible, bypassing overly technical phrases and stylistic varieties like passive voice and nominalisations. Because technical documents are used in real-world conditions, it should be clear what the subject matter of a technical document is about and what should be done with the given information. It would be unfortunate if a technical writer’s document on how to use a high-powered X-ray machine were challenging to read. Technical writers produce information in such a way that it is clearly understood, grasped and remembered. Technical writing must be accurate. A technical writer, after analysing their audience, knows what they are trying to communicate. The goal from there is to convey the message accurately and ethically. Physical, environmental, or financial repercussions could result if a writer does this incorrectly. Knowing the audience is critical to accuracy because the language will be tailored according to what they know about the subject at hand. For example, instructions on how to correctly and safely build a bookshelf are included when purchased. Those instructions are created so that anyone could follow along, including accurate details as to where each fastener goes. If those instructions were incorrect, the bookshelf could be unstable and fail. Document design and layout are also very essential components of technical writing. Technical writers spend enormous amounts of time ensuring their documents are readable because a poorly designed document hampers a reader’s understanding. Technical document design stresses proper usage of document design choices like bullet points, font-size, and bold text. Images, diagrams, and videos are also commonly employed by technical writers because these media can often convey complicated information, like an organisation’s annual earnings or a product’s design features, more efficiently than text. Instructions and procedures are documents that support either developers or end users operate or configure a device or program. Some examples of instructional documents include troubleshooting guides, user manuals for computer hardware, computer programs, household products, medical equipment, automobiles and mechanical products. Proposals. Most projects start with a proposal—a document that explains the purpose of a project, the responsibilities that must be performed in the project, the techniques used to execute the project, and finally the cost of the project. Proposals include a broad range of subjects. A technical writer may write a proposal that describes the cost to install a brand new IT system, a marketing professional may write a proposal with the product and service offerings and range, and a professor may write a proposal that outlines how a new biology class can be structured. Emails are the most frequently written exchange in business. Emails can be created with a variety of goals—some are usually aimed at directly communicating information while others are intended to convince the recipient to accomplish a specific task. Press releases is another document that requires technical writing. When an organisation wants to publicly reveal a new service or product, they will have a technical writer compose a press release which is a document that explains the product’s functions and value of their product to their consumers. Specifications are designed frameworks that describe the structure, packaging, parts and delivery of an object or process in sufficient detail that another individual can reconstruct it. An example is a technical writer might draw and write the specifications for a smartphone or washing machine so that a manufacturer can produce the object. White papers are examples of documents composed for specialists in a field and typically describe a solution to a technological or business challenge. Some examples of white papers comprise of a piece that details how to make a company stand out in the market or an article explaining how to prevent cyber-attacks on firms. Descriptions are concise explanations of processes and procedures that help users understand how something works. For example, a technical writer might write a document that shows the effects of greenhouse gases or demonstrates how the braking system operates on a motorbike. Résumés and CVs are other examples of technical documents. Resumes are documents that are used in a setting to inform users of the job candidate’s credentials. Datasheets are the document that summarises the key specifications, features, application circuits, technical characteristics and some other related information about the product, equipment machine, software, application, the system in summary. Websites are sometimes written by technical writers as well. The advent of hypertext has altered the way documents are read, organised, and accessed. Technical writers are sometimes responsible for authoring pages on sites like “About Us” pages or product pages and are sometimes required to be proficient in web development tools. A case study is a written report about a group, person, or situation that has been studied over time. A case study is also a situation in real life that can be observed at or studied to learn about something. For example, an individual’s challenging circumstances at his or her workplace and how he or she solve it is a case study. Technical reports are written to provide users with instructions, information, and outline of tasks. Reports come in many forms. For example, a technical writer may assess a building that is for sale and produce a trip report that highlights their findings and whether or not they belief the building should be purchased. While another technical writer who is employed by a non-profit company may write an evaluation report that shows the findings of the organisation’s research into water pollution. This Technical Writing workshop is ideal for anyone who would like to gain a strong grasp and improve their Technical Writing. The duration of this Technical Writing workshop is 2 full days. 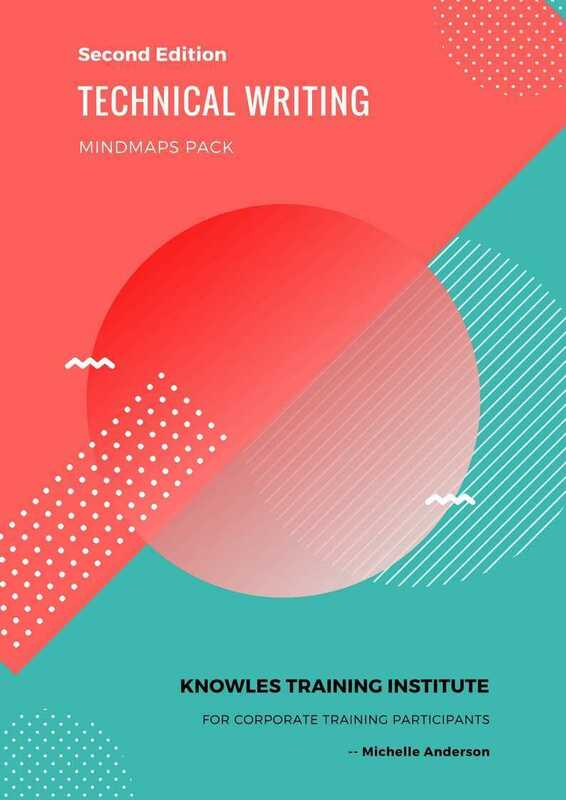 Knowles Training Institute will also be able to contextualise this workshop according to different durations; 1 full day, 2 days, half day, 90 minutes and 60 minutes. Learn to reduce the errors of poorly crafted documents and increase the impact of white papers, product manuals, user’s guides, annual reports, spec sheets, legal forms and websites. Learn skills to improve the quality, clarity, structure, and expected results of all your technical communication. Compelling and concise written documents help you increase productivity, resolve issues, avoid errors, and increase credibility. Learn to take complex ideas and make them understandable and memorable in written form. A structure for outlining and structuring technical papers. Comprehensive understanding of your audience’s needs. Effective instruments to express complicated ideas and issues effectively for expert and non-expert audiences. Knowledge of how best to use and explain visuals. An appreciation of the laws of plain English. Write useful technical papers, manuals, and white papers. Assess your readers and produce documents to meet their requirements. Build active sentences and sections that describe information. Employ diagrams, tables, charts, and other graphical instruments effectively. Create informational content that your readers will appreciate and use. Organise ideas with the Front Loading Planner form. Reduce costly rewrites in later stages. Comply with the ten standards of design. Create a draft of the actual document. Use the Four-Box Organizer form to prototype smaller papers or structure larger prototypes quickly. Transform complex concepts into sentences and paragraphs. Evolve prototypes into an actual document. Ensure the quality of the nearly finished product. Top 10 myth about technical writing. 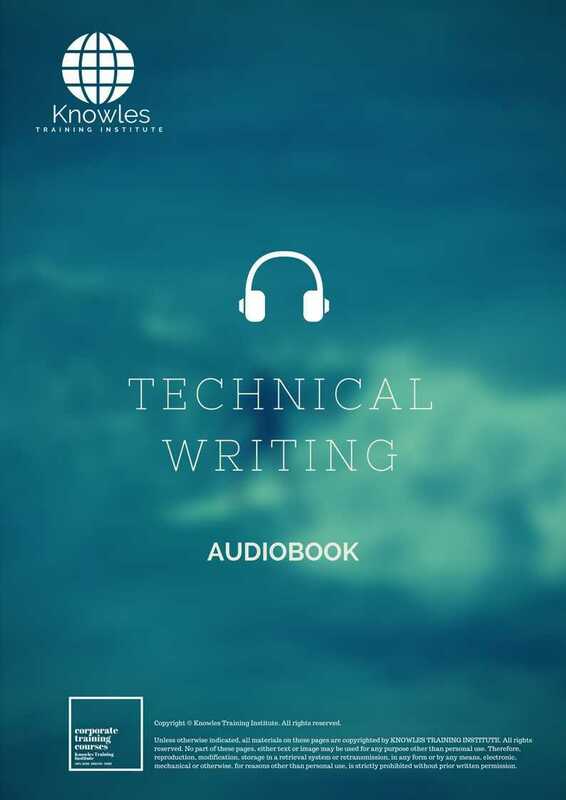 What is included within the genre of technical writing? Measures of Excellence in Technical Documents. Acquiring the Three Types of Knowledge. Feasibility, recommendation, and evaluation reports. Checklist for the technical report. Signposting to support your reader. Methods for presenting complex concepts and ideas clearly and simply. Presenting numbers, charts and graphics. There are 3 pricing options available for this Technical Writing training course. 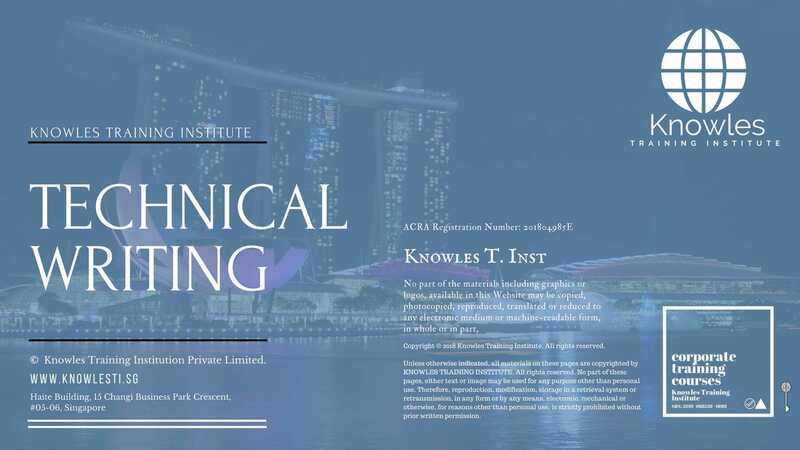 Course participants not in Singapore may choose to sign up for our online Technical Writing training course. 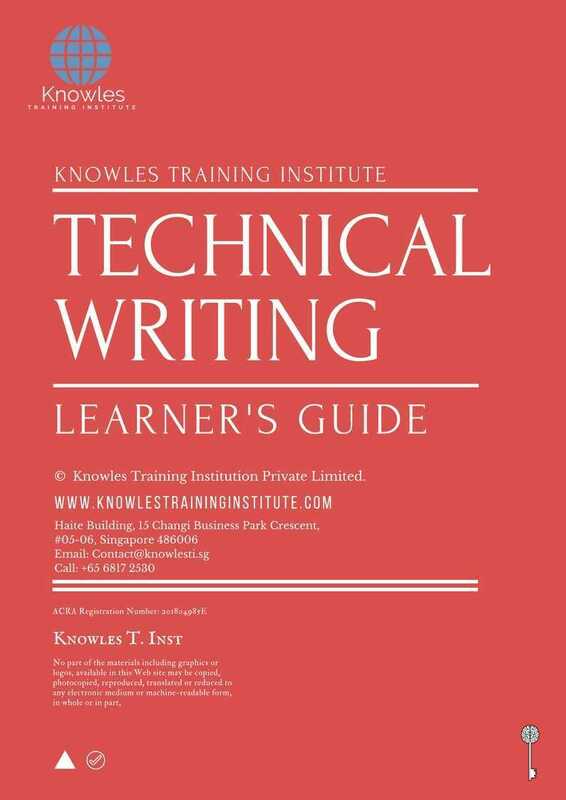 Request for this Technical Writing course brochure. Fill up the short information below and we will send it to you right away! Share This Technical Writing Training Course! Technical Writing course, workshop, training, class, seminar, talk, Advance technical writing course, program, programme, activity, lecture. Technical Writing courses, workshops, classes, seminars, talks, programs, programmes, activities, lectures in Singapore. Technical Writing improvement tips, Technical Writing techniques, improve Technical Writing, improve Technical Writing games, Technical Writing improvement exercises, improve Technical Writing power, how to have good Technical Writing, how to have good Technical Writing in studying, how to build up your Technical Writing, how to improve Technical Writing how to improve Technical Writing course in Singapore. Enhance, boost, build up, enlarge, heighten Technical Writing course in Singapore. Increase, intensify, raise, reinforce, strengthen Technical Writing. Upgrade, amplify, boom, elevate, exaggerate, magnify, grow, gain Technical Writing. Develop Technical Writing, multiple, power up, beef up, bolster, establish, extend Technical Writing. 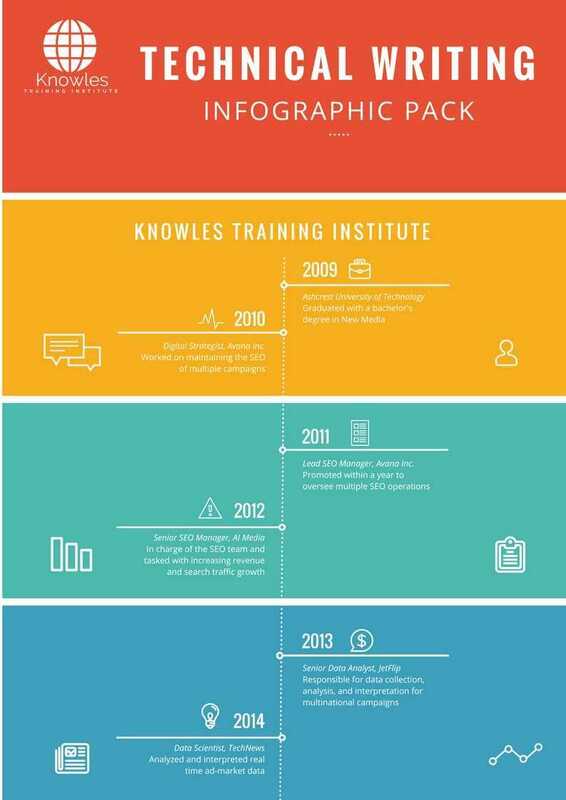 Invigorate, restore, step up, toughen, empower, fortify, regenerate Technical Writing. Rejuvenate, renew, escalate, expand, maximize Technical Writing. Powerful, mighty, impressive, competent, great, excellent, exceptional Technical Writing in Singapore. Superb Technical Writing. Super, superior, strong, solid, active Technical Writing training courses and workshops in Singapore. Technical Writing enhancement, booster, building up, enlargement, heightening, increment, strengthening, amplification. Technical Writing magnification, growth, development, power, empowerment, regeneration. Technical Writing rejuvenation, development, escalation, expansion. Technical Writing maximization, power training courses & workshops in Singapore.